Overall it’s just a wonderful way to begin my weekend and get out of the apartment nice and early! This Saturday after I finished volunteering I ran some errands around downtown and then begin to feel the hunger bug striking and was craving a nice big salad with lots of fixings. 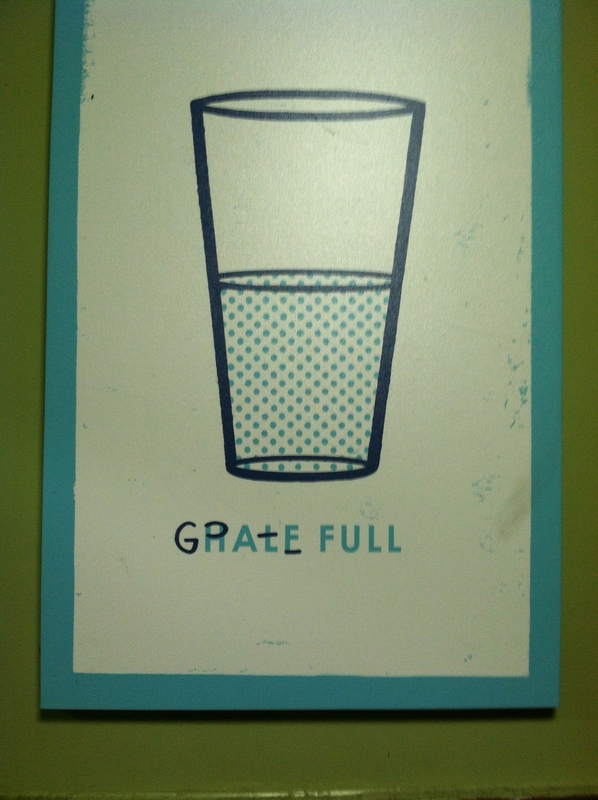 Of course Cafe Gratitude could fix that! And since it was so sunny I ordered it to go and enjoyed it at a table outside! 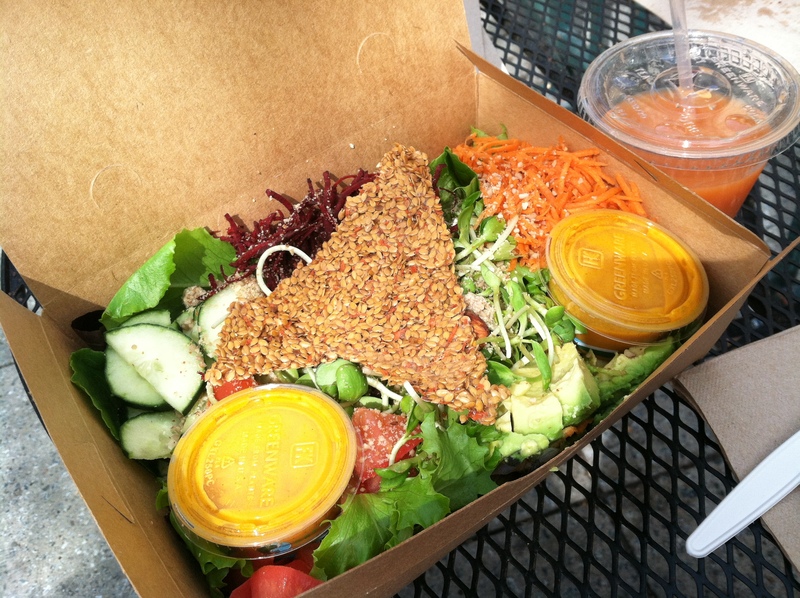 Their I am Fulfilled salad loaded with beets, carrots, avocado, almond parmesan, and teriyaki almonds with a raw carrot flax cracker and goji chipotle dressing! With a small carrot, pear, ginger juice. 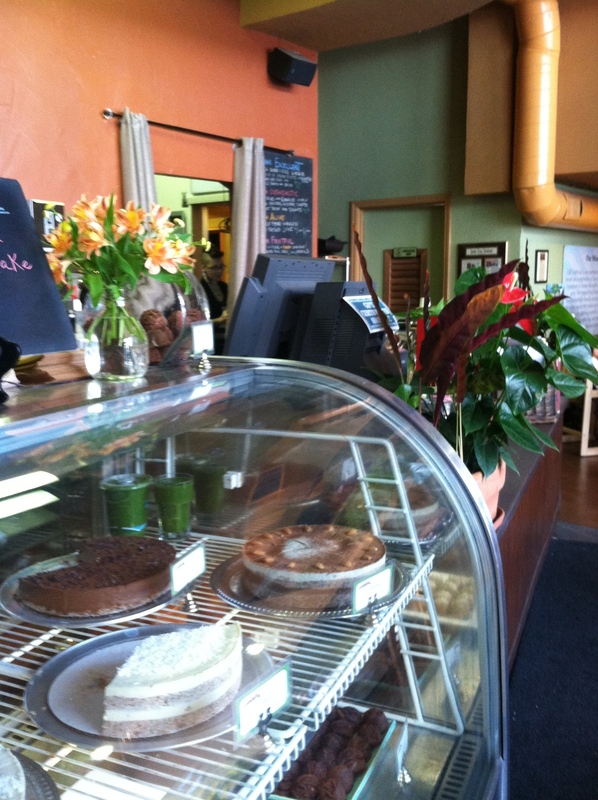 I love that they source local and organic ingredients and everything is vegan! The day was simply too nice to waste so before I headed home I decided to take a nice long walk out along Westcliff Drive. 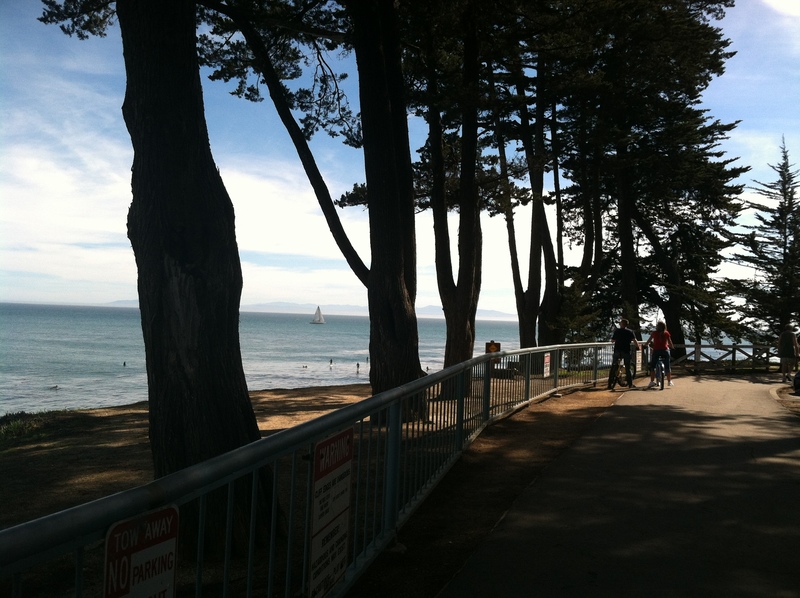 My favorite view in Santa Cruz! 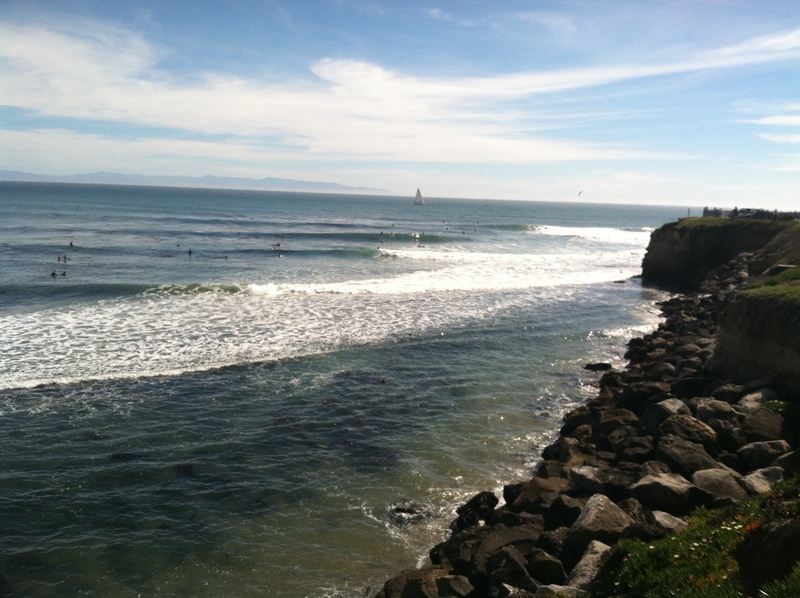 Plus it’s always fun to watch the surfers on these really sunny breezy days! I got about an hour of reading in before I walked back to catch a bus up to campus. 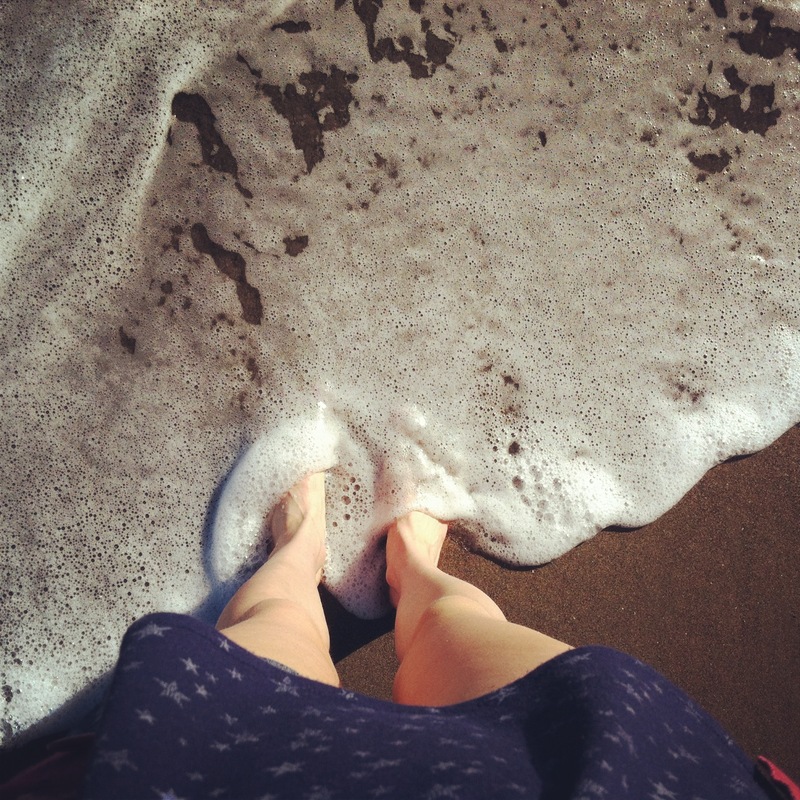 It was wonderful to soak in some sun and watch the ocean waves. I’m committing myself to going out here at least once a week for the rest of the school year. I have this beautiful view at my fingertips! Why waste it? 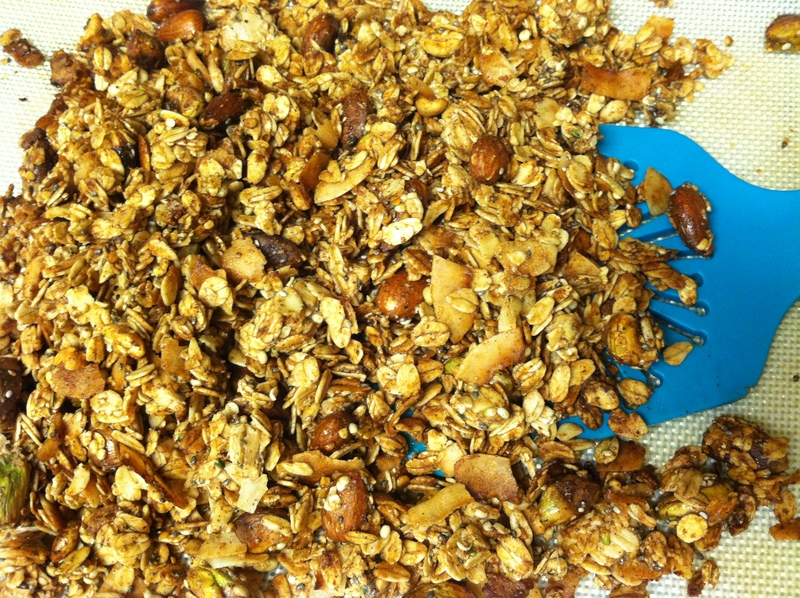 Mix all dry ingredients in a mixing bowl. 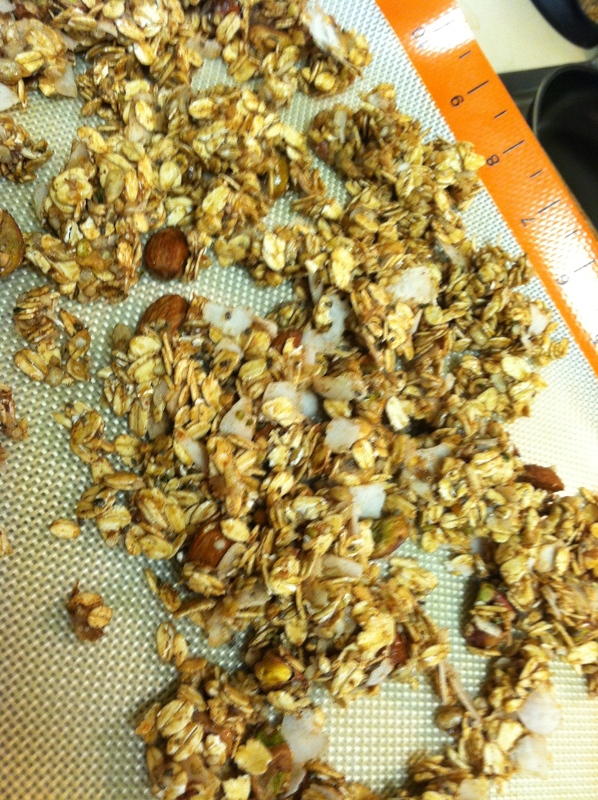 Then add in oil, almond butter, and sweetener of choice and mix well! Bake for between 12-20 minutes checking about every 5 minutes and stirring on pan until golden brown! Allow to cool completely before moving into a storage container. 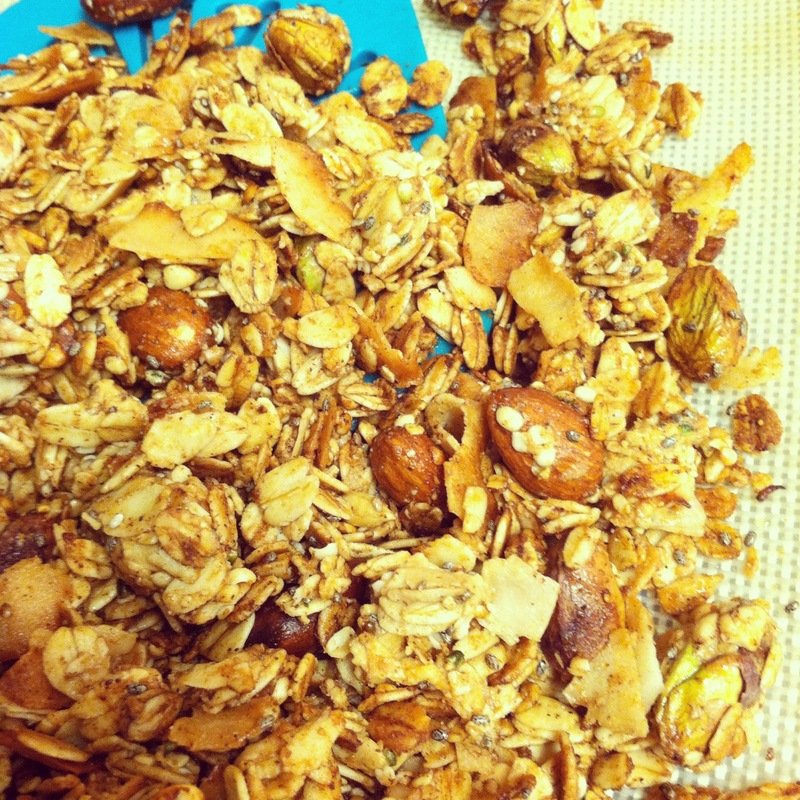 This entry was posted in Recipes, Santa Cruz Adventures and tagged breakfast, granola, plant based, recipe, vegan. I was recently inspired by a Facebook post by A Dash of Meg. She was talking about what makes one MENTALLY strong, PHYSICALLY strong, and EMOTIONALLY strong. Seeing how honestly she opened herself up in a public forum, I was suddenly seized with the same desire to open up and reply honestly. I am emotionally strong because I struggle with anxiety but I found a way to ask for help. As soon as I typed those words it felt like a huge burden off my shoulders. To see my thoughts and inner most feelings put into words felt like I was beginning to crack at the rigid outer composure I’ve kept up through the last few years. I’m not one to disclose my emotions with even those closest to me, or my thoughts behind those emotions. This often makes it hard for me to truly connect with people and let them into my life. This past year has been immensely difficult. I’ve come from a really dangerous place and had quite a journey in the past 12 months. I never would have admitted in the past that I needed help. Admitting that I couldn’t do everything myself was a huge step for me and starting work with a therapist changed my life. There’s such a negative connotation around “therapy” and “mental illness” but from my experience I think most people could benefit immensely from seeing a therapist 😉 A person that you get to pour out all your thoughts and feelings too, who doesn’t judge you, who really listens, and offers helpful feedback and advice. There’s no couches to lie on or questions like “And how does that make you feel?” in my experience, but genuine human connections. Yesterday was the first time I put my ED into words and publicly stated that it had existed. There was such a sense of relief in that. In just speaking the truth. The truth is what makes me strong. The ability to acknowledge my past and move forward from it to a better, healthier, happier future is what’s empowering. Words are powerful and freeing. Simply saying what your going through out loud whether it be to yourself or a friend, make problems seem so much smaller, and at least for me have allowed me to let go of the past and begin my journey forward. So what makes you MENTALLY strong, PHYSICALLY strong, and EMOTIONALLY strong? 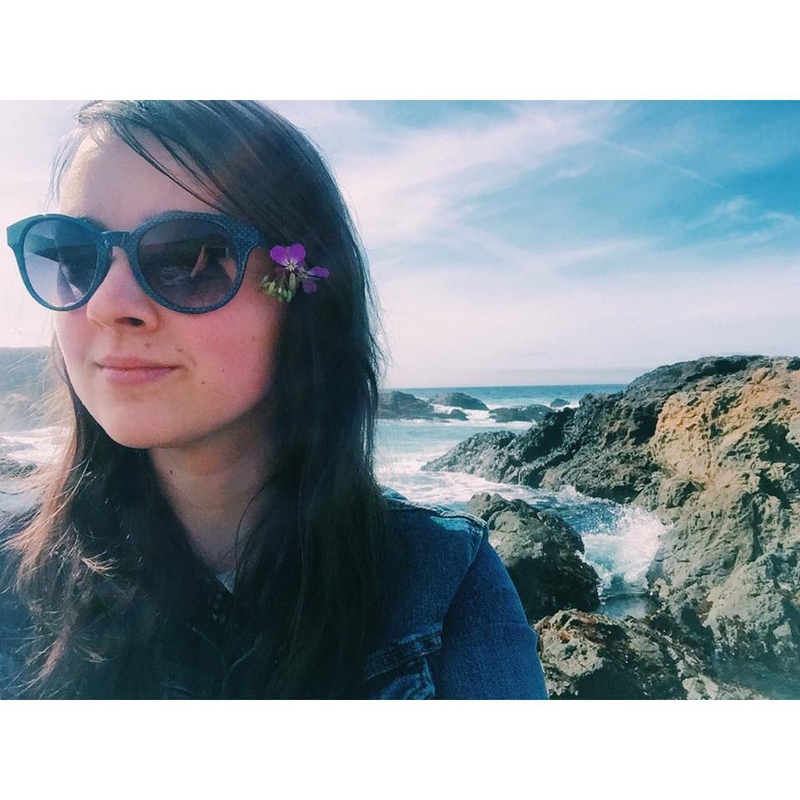 This entry was posted in About Me, Uncategorized and tagged balance, mind and body, strength. I’ll just say it. I love food, specifically organic, local, homegrown food. 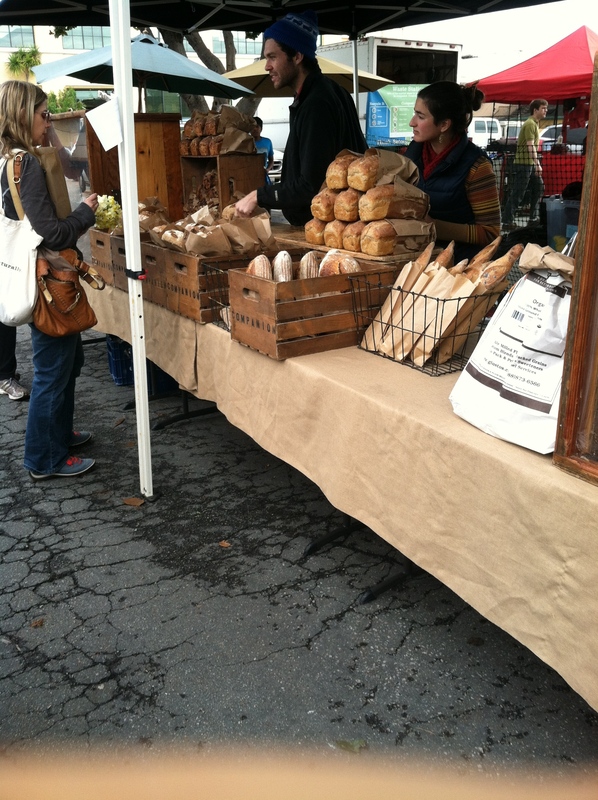 So it’s no surprise one of my favorite places to go is the Farmer’s Market. 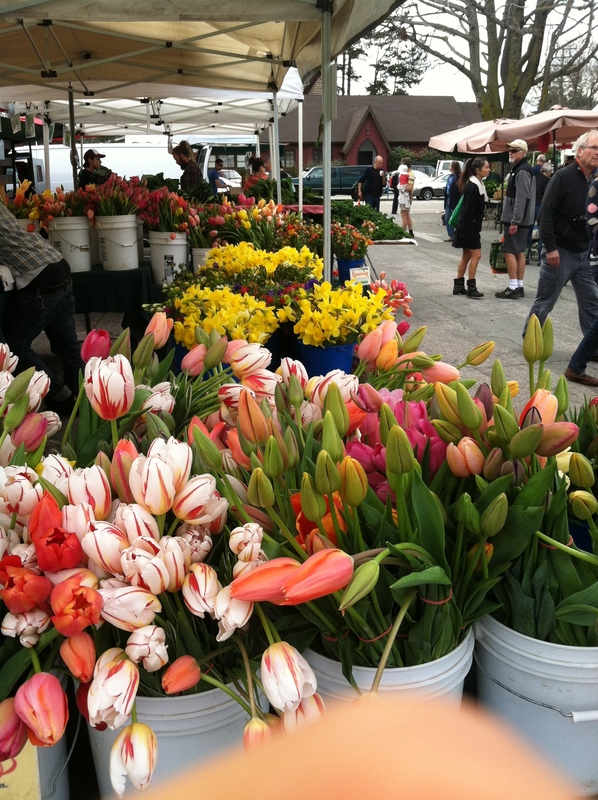 I try to keep my schedule open so that every week I can got to the Downtown Santa Cruz Farmer’s market on Wednesday afternoons, try meaning that when it comes time to pick classes for next quarter I schedule them around keeping my Wednesday afternoons free. Yes. I’m that person. But there’s just something so incredible about connecting with local farmer’s who grew the food with love and care that you will later eat. It’s also a fun way to discover new foods! This week I tried my first guava! 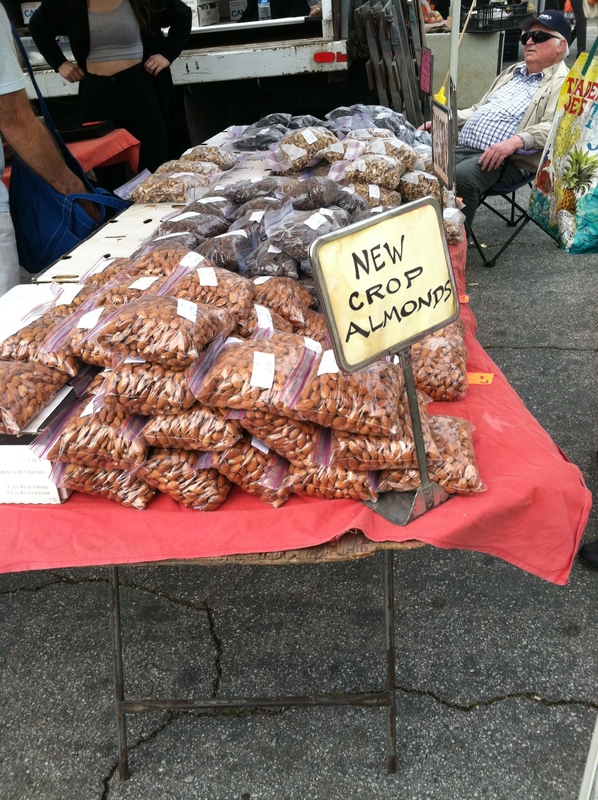 It was delicious and probably not something I would have tried if the farmer at his fruit stand hadn’t suggested it. Not only are all the free samples at the farmer’s market super awesome and delicious, but they’re also an example of the pride those who grew them take in their fruit and produce. It’s pretty special to be in a place where those around me love and appreciate food as much as I do! Not only for it’s deliciousness but also for the way it enriches and fuels our life. 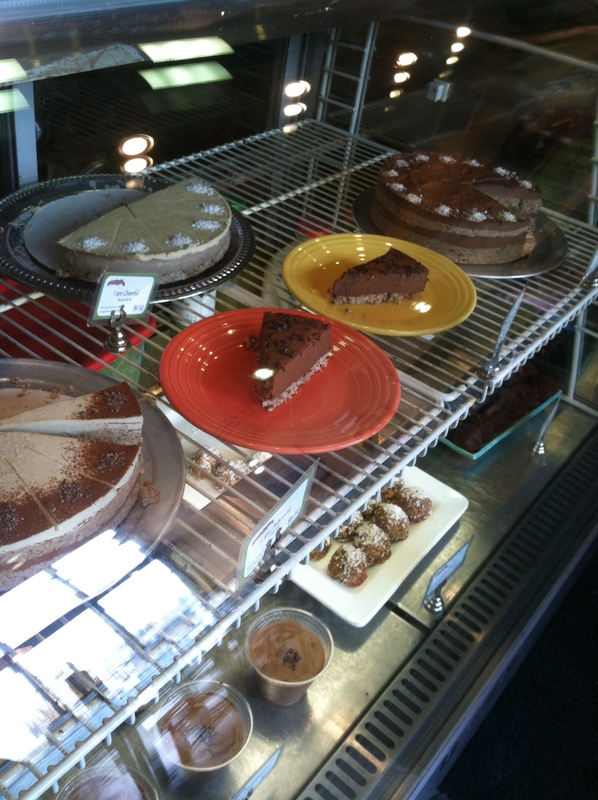 I ogled over their raw dessert case while I waited for my order. 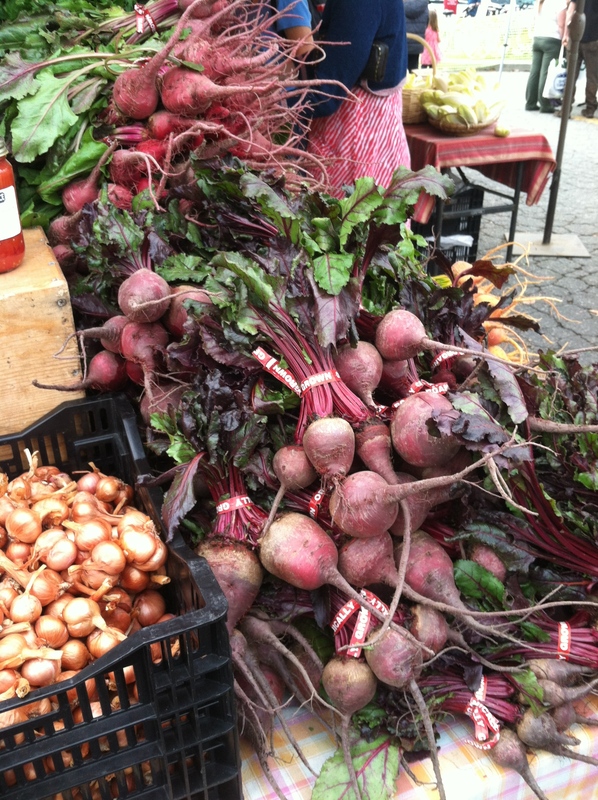 As soon as I got back to the apartment I promptly started heating up the stove to roast the beautiful beets I picked up at the farmer’s Market. 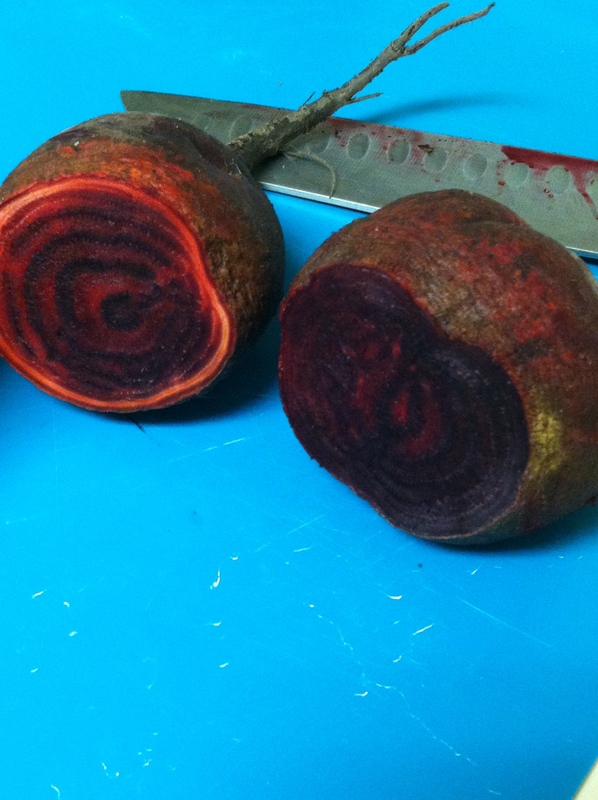 Orange Roasted beets are one of my favorites so I got to chopping. The recipe is actually pretty simple! Preheat oven to 375 degrees. 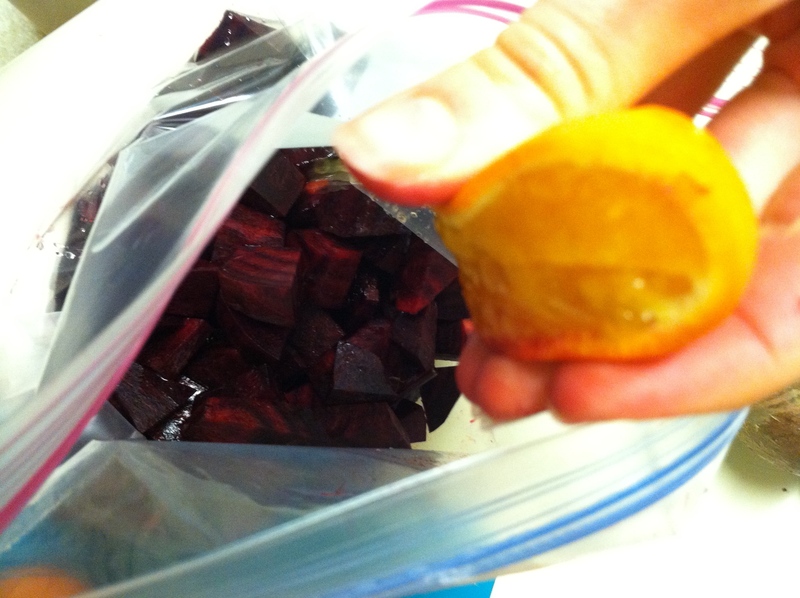 Mix beets with orange juice, ACV, and EVOO. 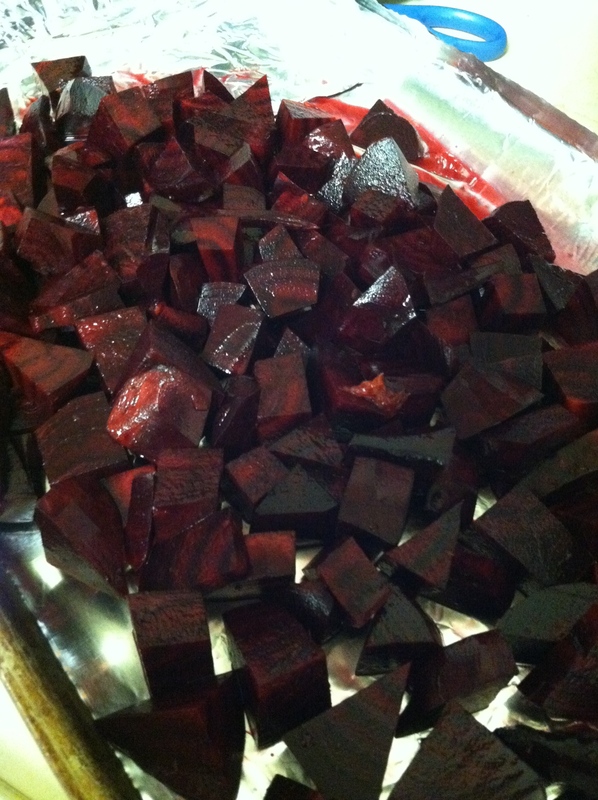 Line a baking sheet with aluminum foil and pour beets and marinade onto it. 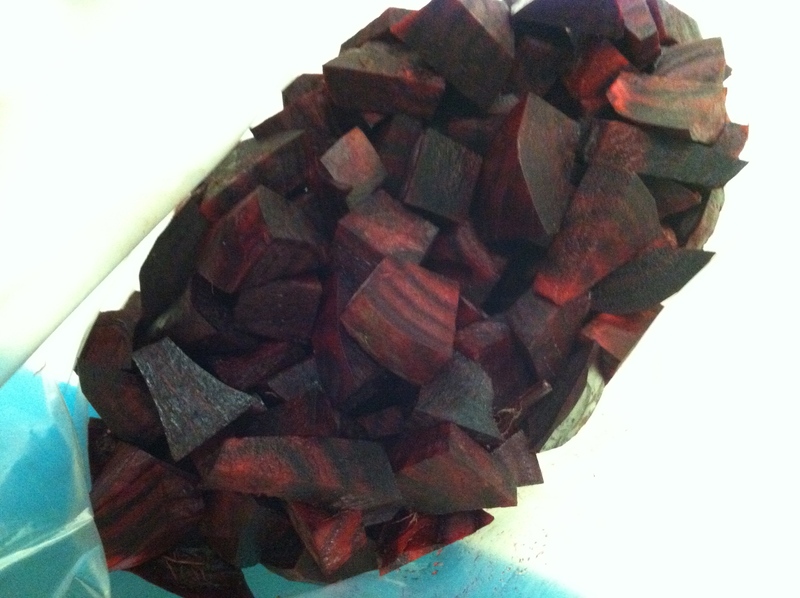 Place in oven and roast for about 35-40 minutes or until beets are easily pierced by fork. I love these! and Usually make a lot, then store in a Pyrex container to add to salads or eat straight out during the week! They are also great dipped in hummus. They also smell great while roasting. I can smell mine right now. Mhmm. They should get me through a long night of reading for my classes. Speaking of reading I should get to it! 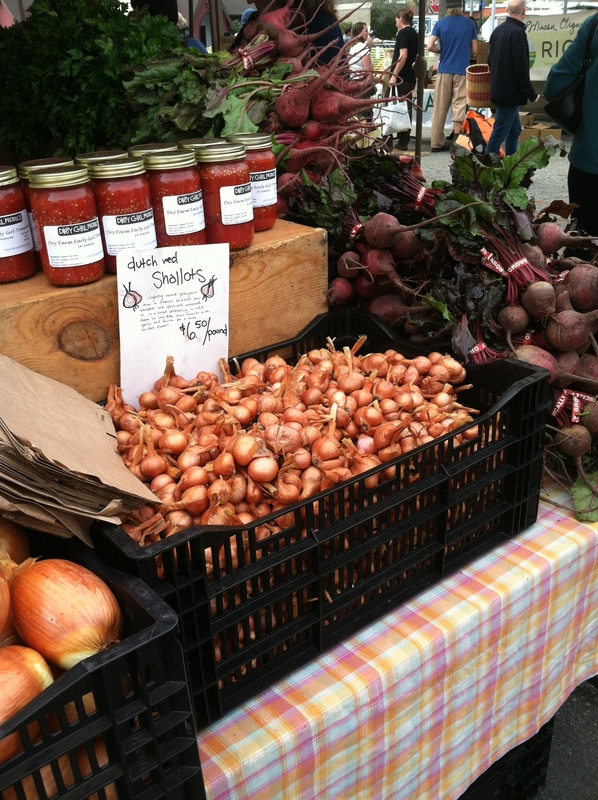 This entry was posted in Recipes, Santa Cruz Adventures and tagged farmers market, local foods, organic, plant based, vegan. Hi! My name is Sarah McLaughlin. 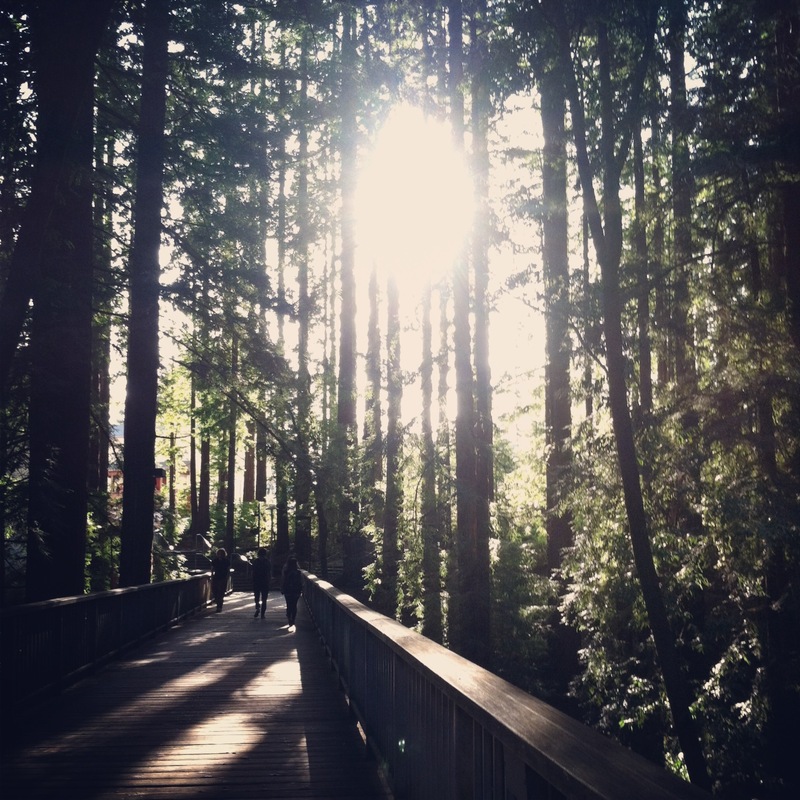 I’m a sophomore at the University of California Santa Cruz working towards a Literature major. I’m an enthusiastic plant based foodie with a passion for organic, local, and hand crafted foods. I love living in the redwoods, smelling the moist forest ground, and being surrounded with giant ancient trees that have seen more time in this world than any of us ever will. 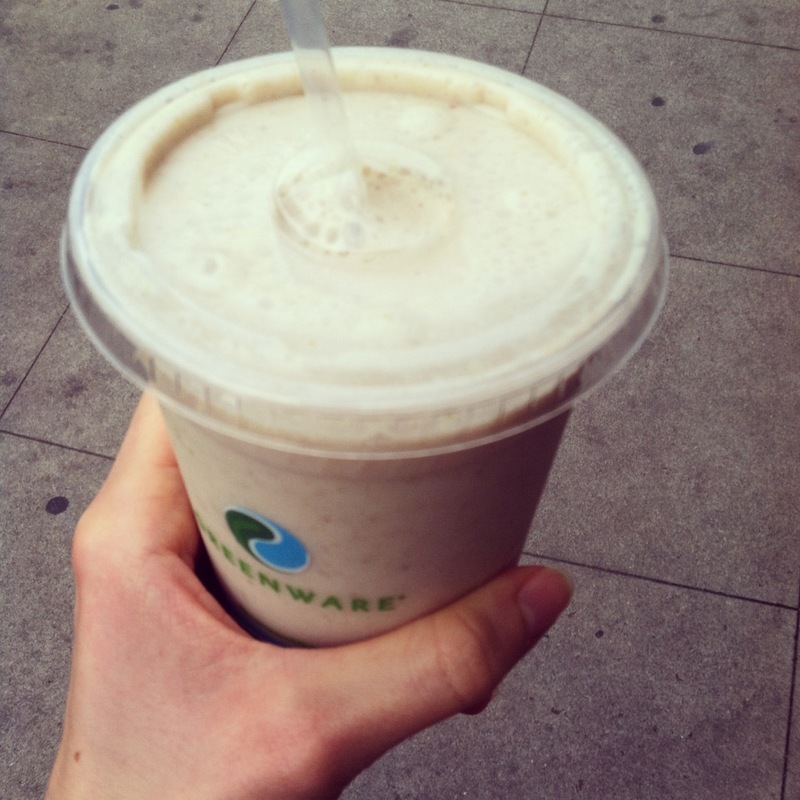 A few years ago I discovered the world of online food and health blogs. I discovered a love for cooking and experimenting with new, healthier, plant-based recipes and most of all learned how to intertwine my love for animal and human rights with my diet and lifestyle. However the onslaught of information from the online community can be overwhelming especially for a young adult like myself. I took every health tip and recommendation to heart, which was a lot of information constantly weighing on my mind. This combined with a desire to be the healthiest person I could be led to an unhealthy relationship with food and exercise. I struggled with this obsession and sometimes still do, but this is why I’m committed to making a blog that celebrates food, health, and all of the amazing things our bodies do for us. Sometimes we have to struggle to discover the beauty that was always all around us. Whether that may be in a deliciously rich square of raw chocolate, or the feeling of our heart pumping in our chest on a hike through the redwoods, or even in the moment of a shared laugh with a friend; it’s important to recognize these little moments and celebrate them. I hope this blog can become a space to share my favorite recipes, small businesses that I love and support, and most importantly a space to share feelings and thoughts about the world we live in. This entry was posted in About Me, Uncategorized and tagged balance, health, mind and body, plant based, vegan.